As democracy has become the preferred system of government in the hemisphere in the past thirty years or so, its promotion and defense have also become the cornerstone and raison d etre of the Organization of American States (OAS) the central and principal inter-governmental institution in the Western Hemisphere. 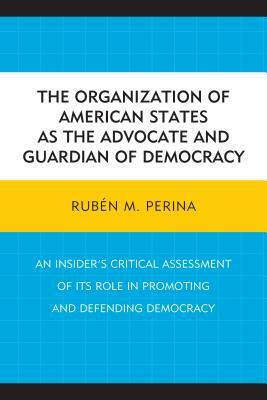 Perina's book presents a comprehensive and in-depth analysis of its new role in promoting and defending democracy in the Americas from an insider's perspective; examines how exactly it performs its role among its member states; points out the tensions, weaknesses and shortcomings that constrain its performance; and suggests ways of strengthening it. This unique perspective offers substantive information, insight, and theoretical and empirical analysis that provide readers with greater knowledge and understanding of the complex workings of the Organization. The book echoes the author's belief in its usefulness, relevance and potential as the most important hemispheric multilateral organization for the promotion and defense of democracy and human rights. Dr. Perina currently teaches at George Washington University.